With Joom Beem’s patent pending quick-release removeable middle leg, this beam is the only beam on the market that has quick folding ability so you can tool-lessly fold for stow and travel in seconds. 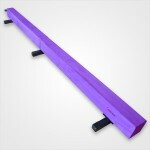 Made from high impact composite material, the beam is rated for up to 280lbs. 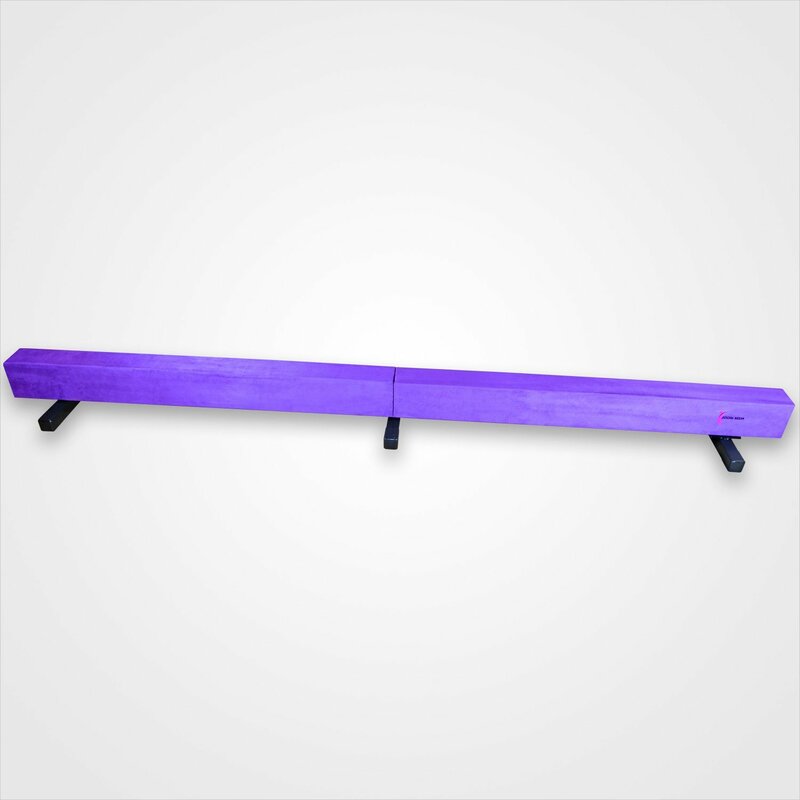 This is by far our most popular beam, and this is the only 8′ full size balance beam on the market that can be folded up for storage and transportation. This folding beam comes with three optional legs for low profile training. We use regulation cross linked PE padding. All our beams are designed with curved sides, equivalent to competition rated beams in so that they will look, and feel just like competition rated beams that you can practice on at home for a fraction of the price. 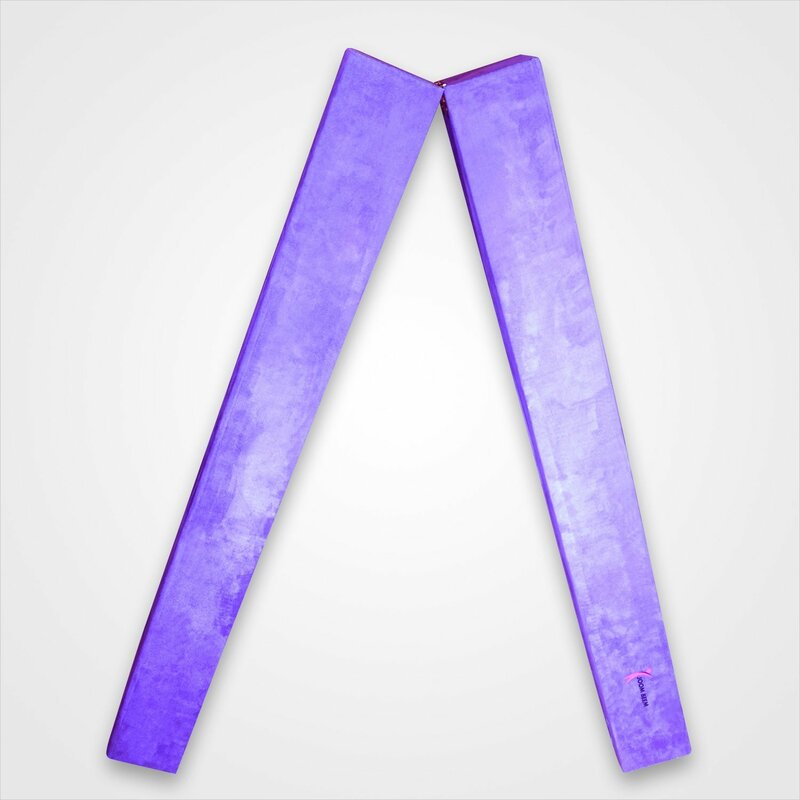 We cover our beams with a thick, but soft and robust suede for palpable quality and tactile feedback exactly as it would be on a competition rated beam. The material is durable and easy to clean, and comes with a 5yr warranty. Thats right, if anything goes wrong with your beam within 5yrs then it will be replaced free of charge. This is the new 2.0 version that has just come in stock for 2019 with several upgrades from the previous version like the quick-release middle leg and much stronger re-enforced hinges. We have added pre-drilled holes and increased the packaging to avoid damage during shipment. 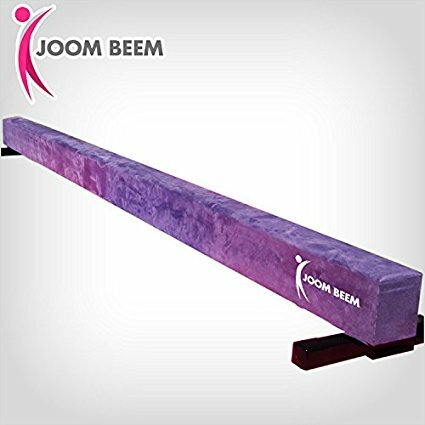 This is Joom Beam’s most popular balance beam, with purple professional grade synthetic suede designed to be used as a competition grade gymnastics low profile beam with the ability to fold for storage. This low balance beam is 8ft long, 4in wide and 7in tall. The middle brace must be removed if you need to fold the beam. The main improvement for the 2.0 version is that you no longer have to remove screws and now the middle brace is “quick-release”. This is the only 8′ full size balance beam on the market that can be folded up for storage and transportation, but maintains 100% of it’s structural integrity due to a patent pending hinge system. Comes with detach-able legs with rubber end-caps. 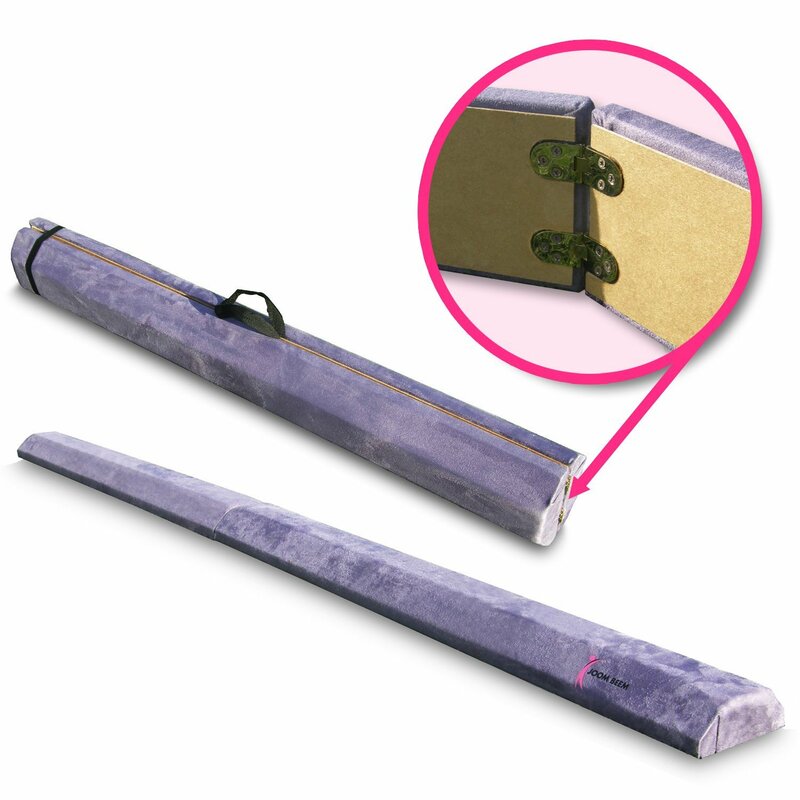 The top side of beam has 3/8” durable PE foam padding and curved sides. We keep all parts on hand, if you need anything please just let us know.